Today was another day of sunshine and showers and when we first set off we really didn't think there was going to be much hope of sunshine, but with a quick brisk of wind the showers seemed to clear up in no time. 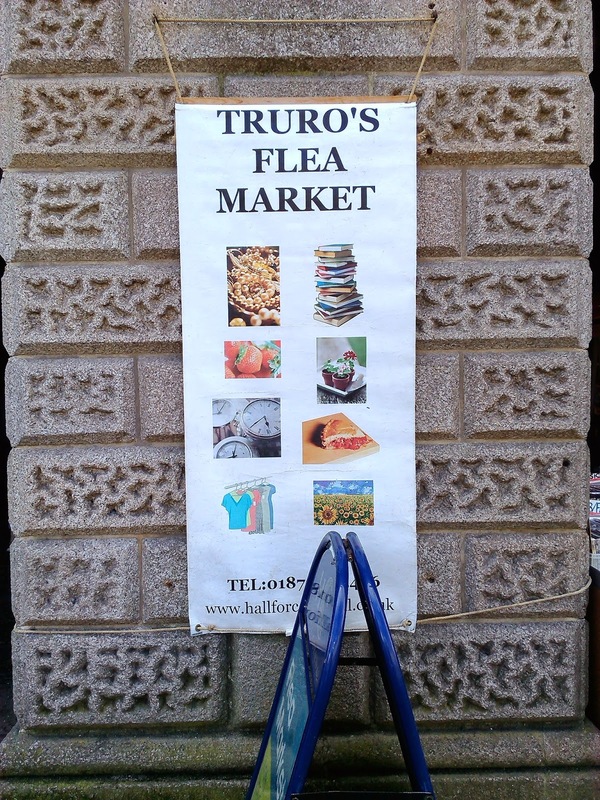 We started off in Truro today for another morning of meandering around the shops and taking in the sites. 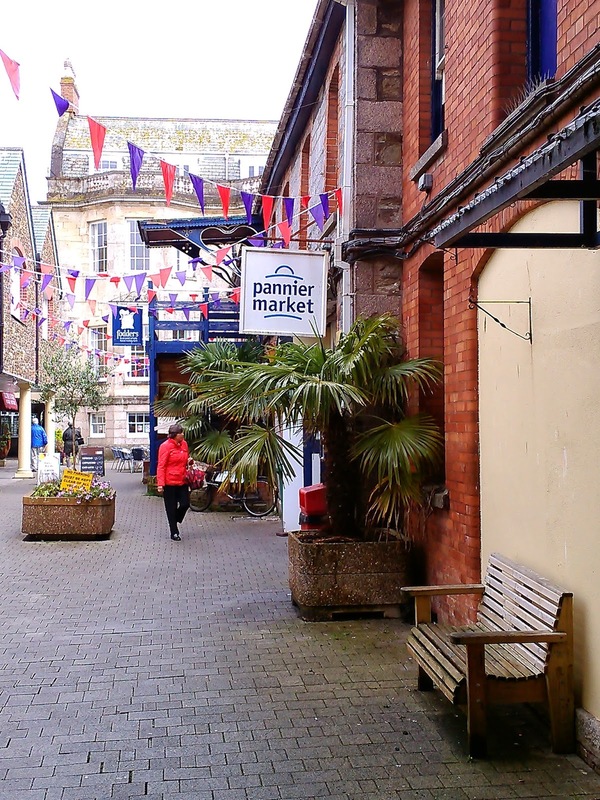 We were keen to start at the Pannier Market to hunt down our favourite little haberdashery stall called 'Stitches'. Here you will find an abundance of lace, threads, ribbons, wool etc at really low prices. 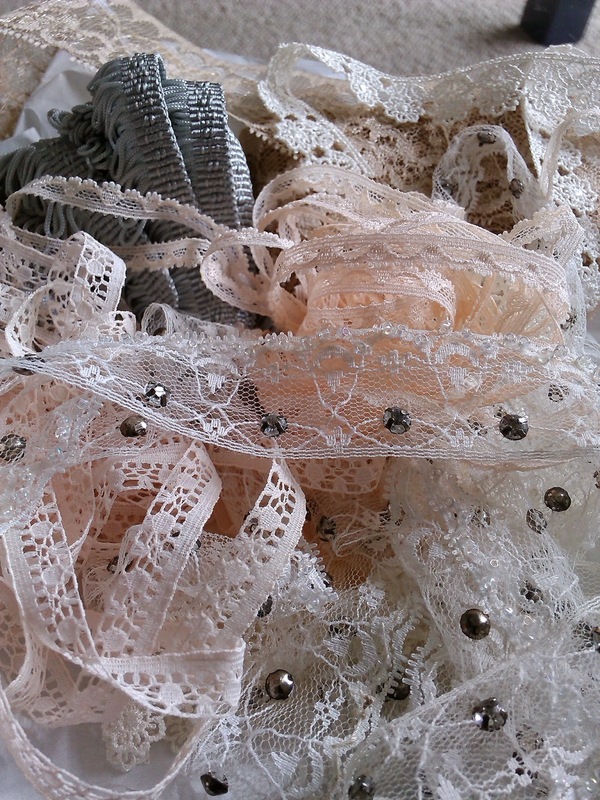 We bought up some lace to use at future workshops with some pieces only costing 10p per metre, brilliant. We also found a beautiful piece with diamantes stitched into it. 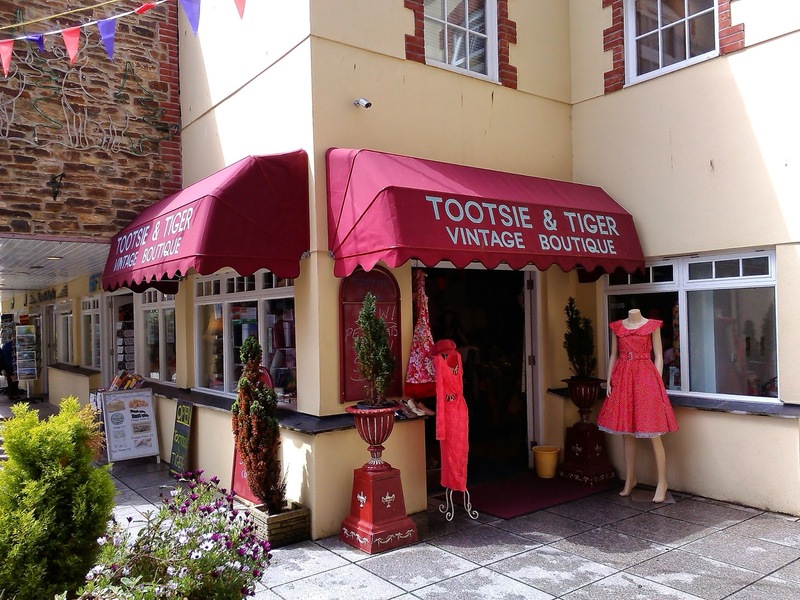 We wondered up an alleyway that we hadn't discovered before and came across a lovely little vintage boutique called Tootsie & Tiger. Now this place is jammed pack full of vintage clothing, hats, shoes and accessories. If you need a vintage outfit then this is the place to go! 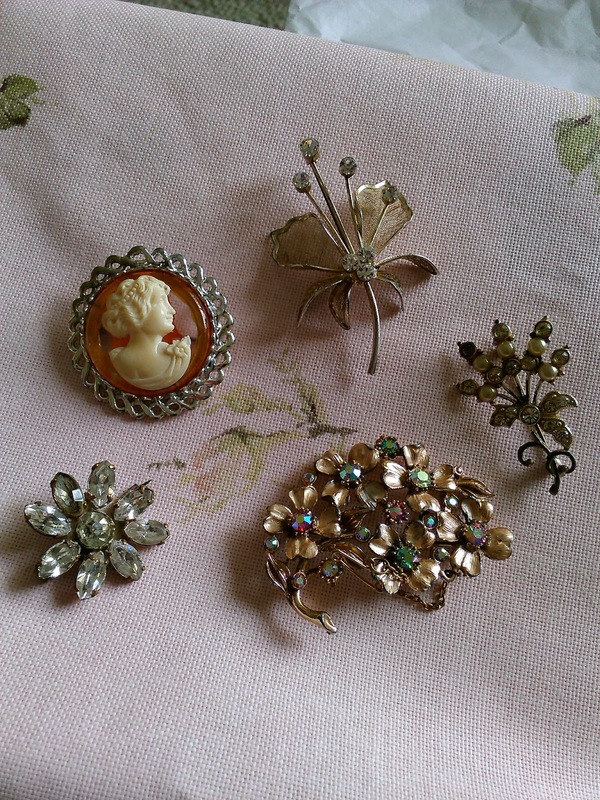 To our surprise, Truro's vintage flea market was running today (we usually manage to miss it every time) so we had a little nose around and snapped up a few brooch bargains. There are a mixture of stalls, mainly consisting of jewellery and bric a brac, but worth a look on the off chance you might find some treasure. Finally we headed to our favourite charity shop which usually has a few good bits and bobs in. 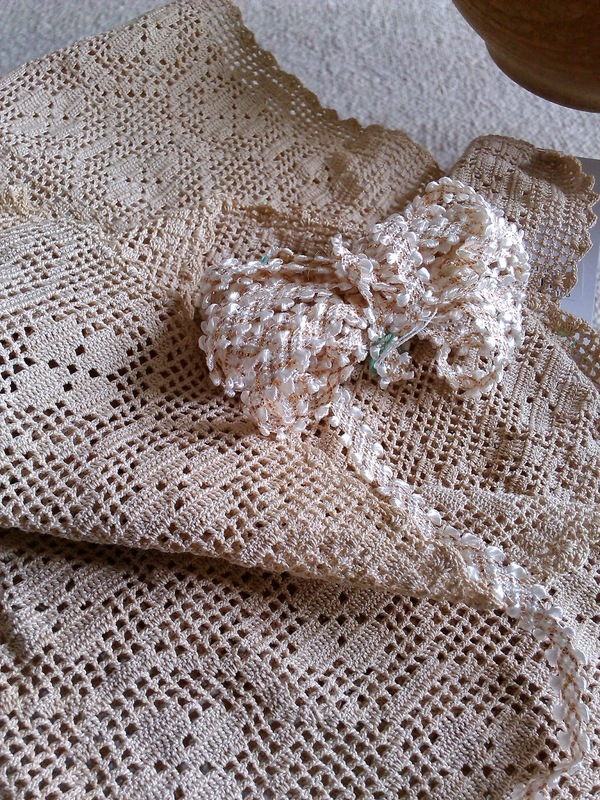 Mum found a bit of lacey material and an old piece of trim which I'm sure will come in handy in some upcoming projects. Heading back to the car park the sun started to breakthrough the clouds and we were hopeful that it would be a sunny afternoon for what we had planned. We decided to visit The Lost Gardens of Heligan near Mevagissey which is something we haven't done before. We've always wanted to visit some of the lovely gardens down here but we've either made other plans or haven't had the weather for it so this afternoon we just went for it come rain or shine! These gardens are amazing! There are four different gardens but to be honest we only managed two of them before our legs started to cave in a bit. The Lost Valley features the Mud Maid (above) and The Giant's Head (top of the page) which are incredible to see. They merge into the surroundings perfectly and make for an interesting find along the wooded paths. We followed the Georgian Ride pathway lined with gorgeous flowers which led us to the Jungle Garden. Now this truly is spectacular, so many exotic plants surround you and it really does feel like your walking through a tropical jungle. The best bit has to be the rope bridge, for a moment I felt like I was walking across the bridge in I'm A Celebrity - definitely a photo op moment! The landscape and views are just simply stunning so if you're thinking of visiting one of the gardens during a stay in Cornwall then I highly recommend these gardens. You could probably spend most of your day here if you had the time, although you will be a lot fitter then us if you do or would at least have plenty of rest stops along the way as there is some serious ground to cover.